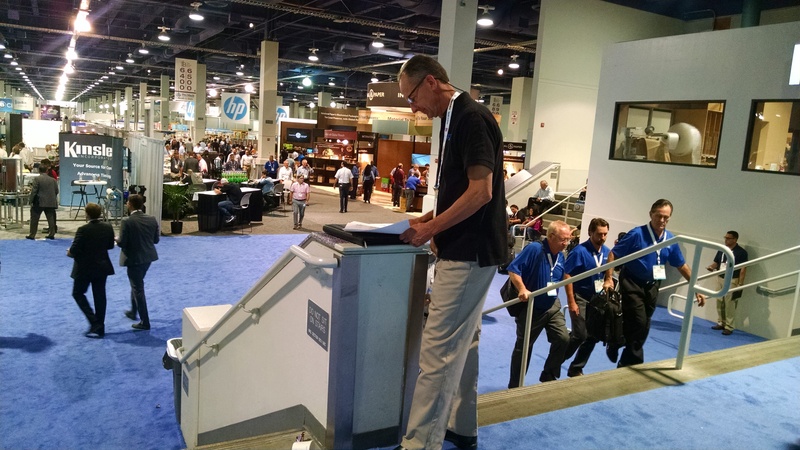 Ken Martin visits Pack Expo in Vegas | Projects Designed & Built, Inc.
Ken Martin, President of PD&B Inc, recently attended the Pack Expo in Las Vegas. Attending the trade show represents a great opportunity to meet with existing suppliers and cultivate relationships with new suppliers. In addition, it’s a time to explore new technologies in the automation industry. “ It’s always good to get a look at new products, and technologies. We want to be sure we’re supplying our customers with the latest and greatest the market has to offer.” Ken said. PD&B Inc. manufactures custom automation and specialized machinery. It serves wide ranging industries including the aluminum extruders, metals, plastics, automotive and more. 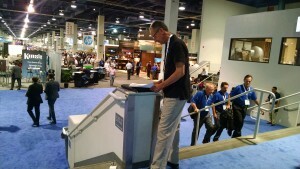 Previous PostKen Martin, President, visits Pack ExpoNext PostSatisfied customer shares feedback.